Good design, like good storytelling, brings ideas to life. 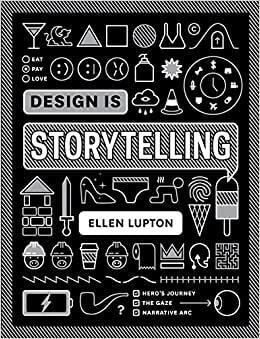 The latest book from award-winning writer Ellen Lupton is a playbook for creative thinking, showing designers how to use storytelling techniques to create satisfying graphics, products, services and experiences. Whether crafting a digital app or a data-rich publication, designers invite people to enter a scene and explore what's there. An intriguing logo, page layout or retail space uses line, shape and form to lead users on dynamic journeys. Design Is Storytelling explores the psychology of visual perception from a narrative point of view. Presenting dozens of tools and concepts in a lively, visual manner, this book will help any designer amplify the narrative power of their work. Use this book to stir emotions, build empathy, articulate values and convey action; to construct narrative arcs and create paths through space; integrate form and language; evaluate a project's storytelling power; and to write and deliver strong narratives. Ellen Lupton is the author of numerous books on design, including Graphic Design: The New Basics (2008), Thinking with Type (2004, second edition 2010), Graphic Design Thinking (2011), Beautiful Users: Designing for People (2014) and Type on Screen (2014), How Posters Work (2015) and Beauty--Cooper Hewitt Design Triennial (2016). She is Senior Curator of Contemporary Design at Cooper Hewitt, Smithsonian Design Museum in New York City, and director of the Graphic Design MFA program at MICA (Maryland Institute College of Art) in Baltimore. She received the AIGA Gold Medal for Lifetime Achievement in 2007. El libro es realmente una herramienta de aprendizaje, literalmente aprendes sobre el diseño en diferentes contextos, contextos que parecen tan simples, pero que cuando lees el libro te abre los ojos y ves que lo que tú piensas que es obvio no lo es. Personalmente, me encantó tanto la bibliografía como los links que la escritora comparte. Si te gusta el diseño de ideas te va a encantar. Este libro de pequeño formato viene tan condensado en información que se vuelve un imprescindible de cualquier biblioteca personal. Está enriquecido con muchas gráficas, ilustraciones y destacados que hacen del ejemplar 100% entendible. Una de mis mejores adquisiciones y ahora me interesan más libros de esta serie. Beautifully designed book, but i found the content somewhat dull and watered down. This book is more "what is design? It's storytelling!" than "how do you tell stories through design," and i was hoping it would be more the latter. So for those of you looking to learn the craft of storytelling design, i don't recommend. I should give the disclaimer though that I'm a storyteller by trade, so maybe for a designer with no knowledge of story structure the book might serve as a decent 101 to concepts like the three act structure. 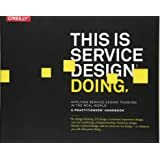 I kept waiting for the “AHA” moment to be convinced that design is storytelling, but I don’t believe the book ever really made the point. Some design may be storytelling, but I never got the connection with my field of textile and product design. Offers a good, solid, structured approach for a wide variety of design projects. Liked the real-world examples, and the emotion-linked insights. I'll keep it on my desk. Perfect pocket-guide for introducing global critical design thinking. All ideas are narrated with apropos illustrations. 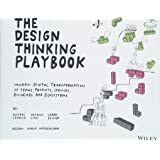 Exploratory and visual approach to the telling of the story captivates the lay of the land for designing with a purpose, essentials of successful product design and significance of human interaction and customer journey throughout the process. 5.0 de 5 estrellasGreat author and designer! Such great explanation and in great detail. Love the authors books!